Robert LeBlanc – accordionist, violinist, & vocalist, was born in Port Arthur, Texas on the Louisiana-Texas border. He has resided most of his life in South Louisiana. Robert played music professionally for a short time during the 1970’s with a Lafayette, Louisiana band called “Cush Cush”. For the past 25 years, Robert has worked in the oil field and plays music as a past time. Mitch Reed – violinist, is one of the finest fiddle players in South Louisiana. He is one of a handful of fiddlers who has learned and mastered the old-timey, pre-WWII fiddle style of south Louisiana. Mitch plays with several bands around Lafayette, Louisiana and plays extensively around the United States and overseas. Mitch and his wife, Lisa, own and operate Louisiana Heritage and Gifts in Carencro, Louisiana. Lisa Trahan Reed – guitarist, learned her music the old-fashioned way, from her father, Harry Trahan, a great accordion player and singer. Lisa performs with various bands locally as well as nationally. Al Berard – violinist, is an accomplished fiddler and singer. He has mastered the old-time manner of seconding and is one of the few fiddlers capable of playing this style. 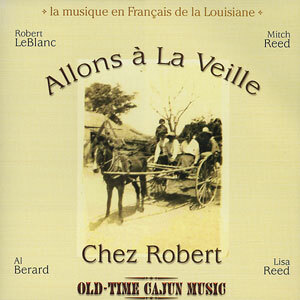 Al tours the U.S. frequently playing traditional-style Cajun music.